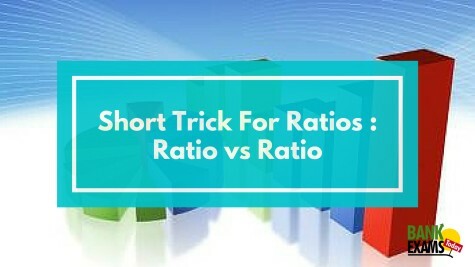 Today I am going explain about ratios. 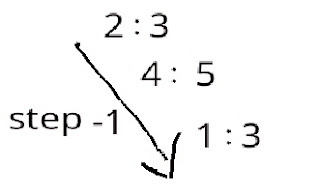 Ratios are the one of the important topics in Quantitative Aptitude section. It's mainly useful in Ages,Partnership problems. Definition : A ratio says how much of one thing there is compared to another thing. Example : Syam have total 12 chocolates , he distributed these chocolates to his friends ram and barath 4 and 8 respectively. 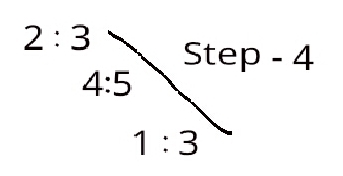 Type 1 : Find Ratio of A:B:C , If A:B = 2:3 and B:C = 4:5 ? In one ratio B is 3 and in another B is 4 . 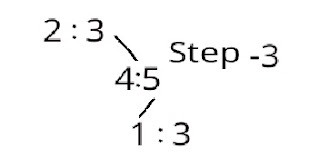 Take LCM of 3 and 4 its 12. Type 2 : A:B = 2:3 , B :C = 4:5 and C:D = 1:3. 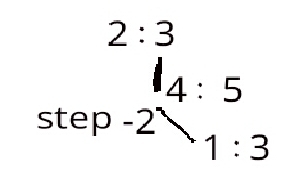 Find Ratio of A:B:C:D ? In this we have 2 terms common one is B and another one C.
Type - 3 : A : B = 3:4 after 4 years its become 7:9 , Find A and B values initially ? Now check difference between Before and After difference A .